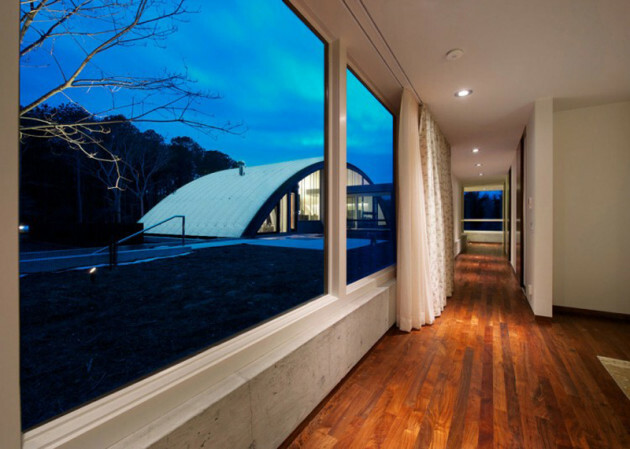 This Luxury Arc House in East Hampton is truly a masterpiece! Was a custom design for a couple and their two dogs. You like this house, right? What is really amazing was the challenge they had to face when they build it. 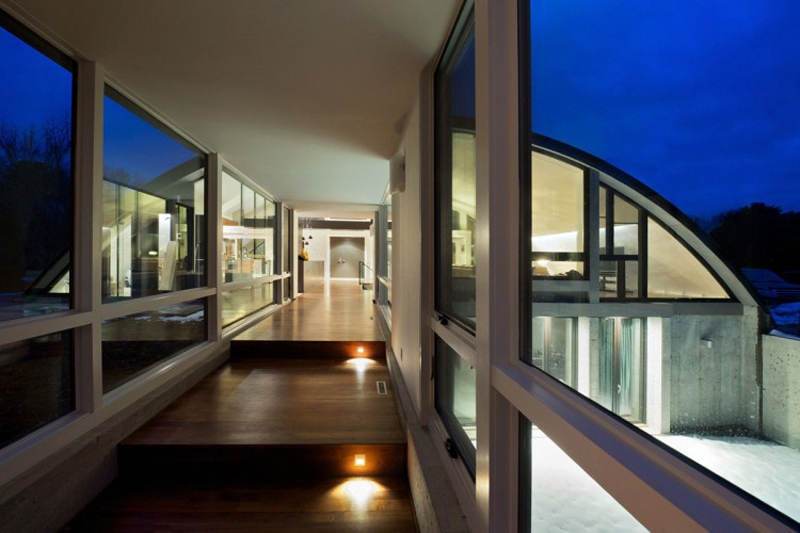 The challenge was to adapt the residence to its site, because it is located under a flight path of the local airport and close to a train track. This luxury Arc House in East Hampton was made of special materials with energy saving making the power consumption of this house much lower than any other ones with same size. 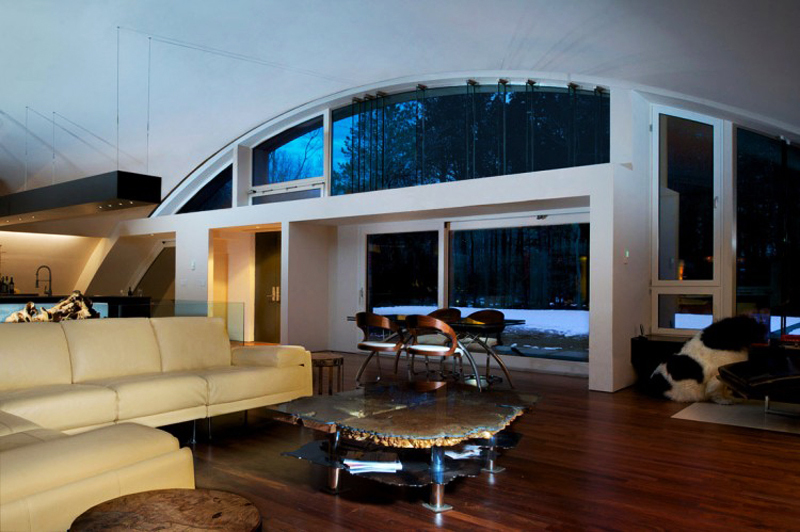 The Maziar Behrooz Architecture Studio completed the design of the Luxury Arc House. 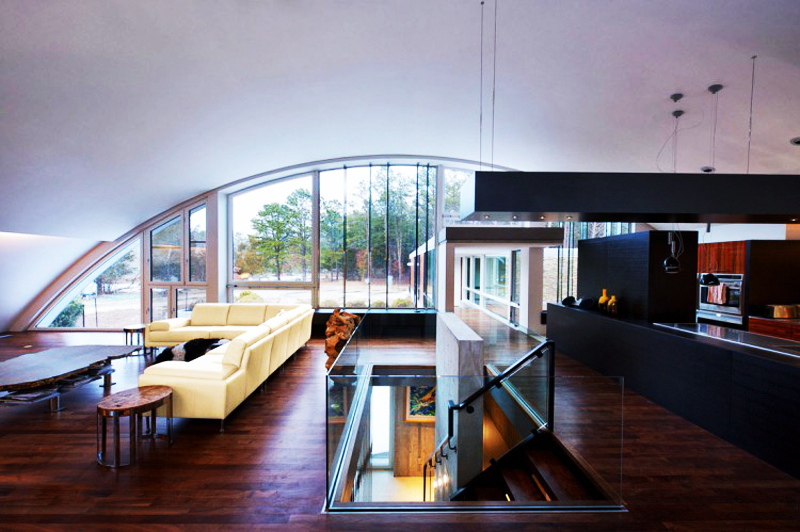 They disguised the house into an airplane hangar; this way is more interesting, intimate and looks even much better. 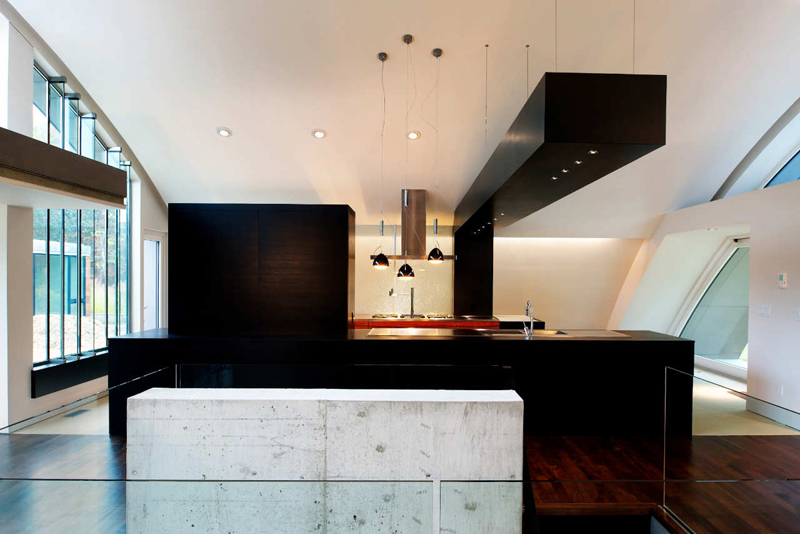 The dining room, living room and kitchen areas are in an open plan but that doesn’t make them look any less modern. 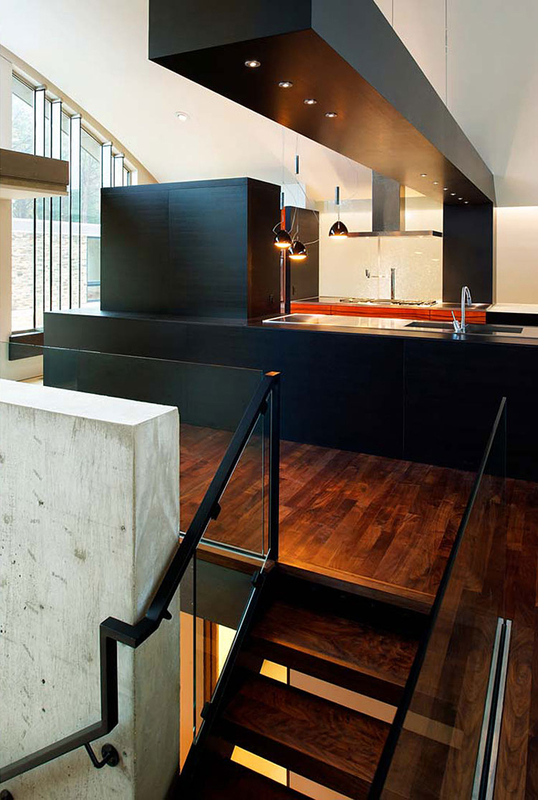 In the lower volume you can find the office, a sitting room, a garage and of course, work out areas. A radius of 39’ with a peak ceiling height of 16 is what makes the house to be the Arc House. 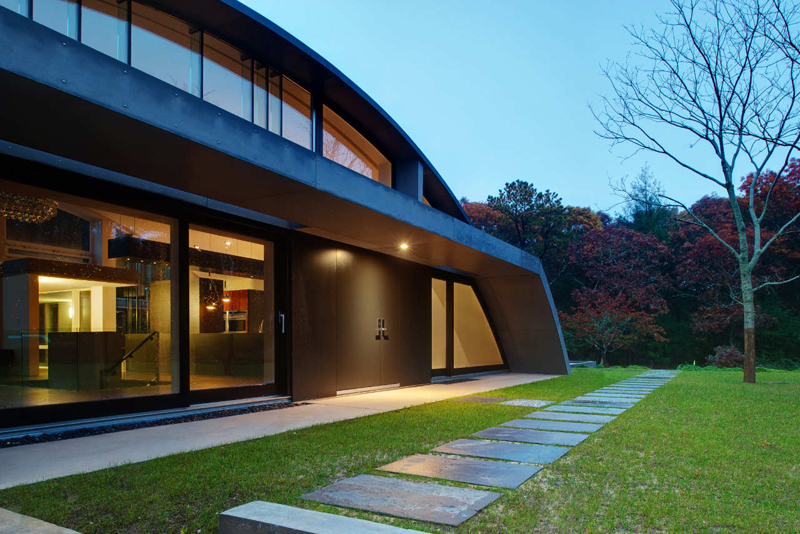 They thought about future plans for the clients and built a flat-roofed section in the rear made of structural panels in case the owner decides to redecorate. 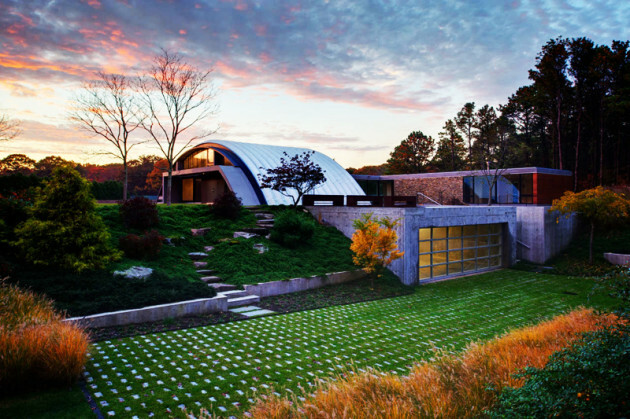 By building the luxury Arc House in East Hampton in a landscape mode, they managed to transform the flat site into one with multiple horizons and took advantage of the passive design and natural cooling. Other features of the house? Sure, I have a complete list! 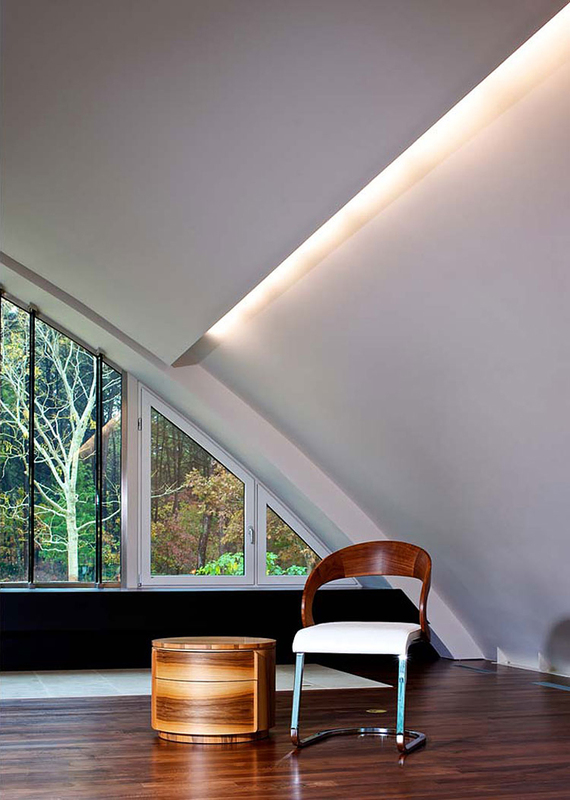 The house also features: high-thermal windows, closed-cell foam insulation and a metal roof. 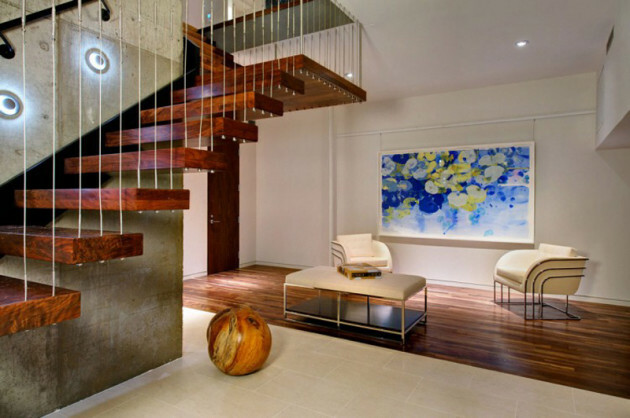 Leave all that behind and just look at it, look at every piece of the furniture, every wall, every door and floor and tell me that this home isn’t amazing! The way they managed to incorporate the private rooms with the ones visible, is absolutely amazing. But enough with my personal opinions for this one, now I want to read about your personal opinions! 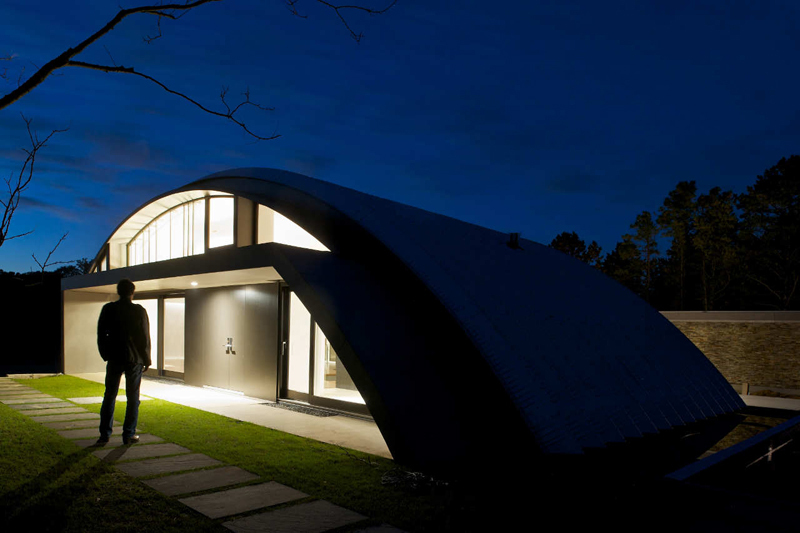 What do you think of the Luxury Arc House in East Hampton? Aren’t that couple so lucky for having that kind of home? Leave the comments in the section below and don’t forget to share it!